Another Jehovah’s Witness molester, Henricus Stephanus Landmeter, has been found guilty of sexually molesting the child of fellow believers. This time it was the District Court of South Australia in Adelaide handing down the verdict instead of in the United States. But just six months earlier in February 2014, Francis Wong of Fort Myers, Florida, also a Jehovah’s Witness, was convicted of molesting a number of young Witness boys. Wong received a life sentence in prison. Also in February 2014, Jeffrey Buzzard of Fort Wayne, Indiana, another Jehovah’s Witness, was convicted of molesting a Witness child and sentenced to 126 years in prison. These three convicted criminals are just a few of a long and growing list of Jehovah’s Witnesses across the world who have molested Witness children, appeared in court, and whose names have appeared in the public press. In most cases, newspapers and other media now identify them as being Jehovah’s Witnesses and their connections to local community Kingdom Halls. Henricus Stephanus Landmeter outside the District Court. The religious father of a young girl who complained about being sexually abused by a fellow devotee told his daughter not to worry because “Jehovah sees everything, he will sort it out,” a court has heard. Henricus Stephanus Landmeter, 77, of Para Hills West, had been found guilty of the persistent sexual exploitation of a child between 1992 and 1998. 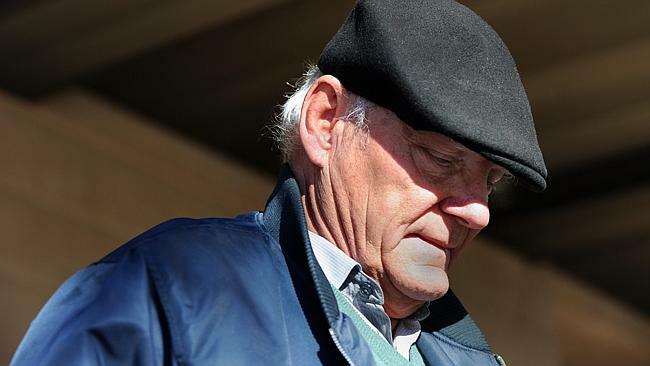 The District Court today heard the girl was abused on more than 100 occasions between the ages of seven and 13 by Landmeter, who remains in “defiant denial” of his crimes. In her victim impact statement read to the court, the woman, who now has children of her own, says Landmeter preyed on her while she was “young, innocent and impressionable” and used his religion to mask his crimes. “You … took advantage of a little girl who parents were, and still are, blinded by their faith and you found religion to be a very effective means to get away with your vile behaviour,” she said. She said she was left confused and numb as the first attack occurred. “I didn’t know any better, Jehovah’s Witnesses grow up being told all fellow Jehovah’s Witnesses are to be trusted — even more so than your blood relatives. The woman said she had come to court to tell Landmeter he could not hide from his crimes anymore. She said Landmeter had shown no remorse and she doubted he thought what he did to her was wrong. “This is what is most disturbing to me,’’ she said. “It frightens me to see the contempt on you and your wife’s faces each time I cross your paths. Trevor Wedding, for Landmeter, asked the court to suspend any sentence imposed due to his client’s age and deteriorating health. But prosecutor Jeff Powell said Landmeter had shown no remorse for his crimes, they were committed over a long time, and only stopped when the victim was old enough to remove herself from danger. He said these factors outweighed any possibility of suspending Landmeter’s sentence. Judge Julie McIntyre remanded him on continuing bail to be sentenced later this week. He got what he deserved. He was not a JW by his actions. The Bible is clear on the wrongness of such sexual adtivities.